President Trump called Michael Cohen to the White House in May 2017 to go over his former fixer’s upcoming testimony before Congress, Cohen testified to the House Oversight Committee on Wednesday. 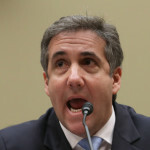 During an extended soliloquy at his Wednesday congressional hearing, Michael Cohen blamed both President Trump and himself for helping draw modern U.S. politics into a circus of name-calling, lies and incivility. 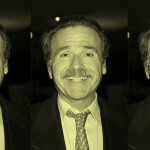 Michael Cohen testified Wednesday that the National Enquirer has collaborated with Donald Trump to purchase and not publish stories that would damage the President for at least 12 years. 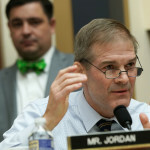 Rep. Jim Jordan (R-OH) was in fine form at the top of Michael Cohen’s Wednesday hearing, claiming that a vast left-wing network had conspired to ensure that Donald Trump’s former fixer could testify before the House Oversight Committee about the President’s misdeeds. In a turn of events that is pure 2019, Judge Amy Berman Jackson this week issued a full gag order in Roger Stone’s federal criminal case over one of his Instagram posts. Stone’s since-deleted President’s Day post happened to feature a photo of Berman Jackson herself, next to crosshairs. At a wild Thursday hearing, Stone repeatedly apologized for his “stupidity,” sparring with Berman Jackson over claims he made to the media that he was simply sharing a Celtic symbol or symbol of the occult, or that one of his assistants may have posted it to his account on his behalf. Predictably, the judge was unmoved. She called his account “evolving and contradicting” and his apology “hollow.” If Stone violates her gag order again, Berman Jackson warned, he could be thrown in jail pending trial. Several new reports have indicated that Robert Mueller’s investigation is in its final stages, and newly sworn-in Attorney General William Barr could announce its culmination as soon as next week. 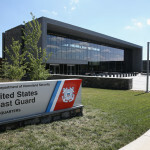 Much remains unclear: whether sealed indictments could still be made public; whether investigations that originated in Mueller’s office will be taken up by other U.S. attorney’s offices; what the timeframe will be between the end of Mueller’s probe and the submission of his report; the “scope and counters” of what Barr will then send to Congress, as CNN put it. In one indication the probe as we know it is ending, the Washington Post reported that lawyers on Mueller’s teams are returning to or contacting their old jobs. A DOJ official clarified Friday that the department will not receive the report next week. President Trump said its “totally up to the attorney general” to decide to release the full report Mueller gives him. Trump also denied a New York Times report that he called then-acting Attorney General Matt Whitaker to pressure him to install a friendly face at the head of the Michael Cohen investigation. 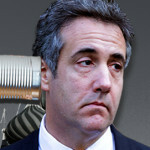 Cohen was granted a 60-day extension to report to prison over complications from a shoulder surgery. Congress is using the delay to secure his prompt testimony, with the House Oversight Committee scheduling a Feb. 27 public hearing with Cohen about Trump’s business practices and campaign finance abuses. An IRS analyst was charged with illegally disclosing so-called “suspicious activity reports” detailing Cohen’s sketchy consulting arrangements. New York prosecutors are preparing to file tax and other charges against Paul Manafort in the event Trump tries to grant him a pardon, according to Bloomberg. Former deputy FBI director Andy McCabe was all over cable news promoting his new book “The Threat.” McCabe divulged that when he briefed the Gang of Eight — the top eight Democratic and Republican leaders in the House and Senate — about the FBI opening a probe into Trump, no one protested. McCabe also said he still believes it’s “possible” that Trump is a Russian asset and could still be colluding with that country’s government. 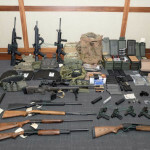 A self-proclaimed white nationalist Coast Guard officer allegedly carried out research into some of the country’s most infamous mass murders on his government computer at Coast Guard headquarters in Washington, D.C.
A U.S. Coast Guard lieutenant who is an alleged white nationalist with a hit list and a plan “to murder innocent citizens on a scale rarely seen in this country” has been arrested by the FBI in the Washington, DC area. 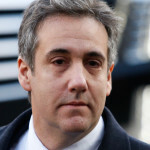 A New York federal judge on Wednesday granted former Trump fixer Michael Cohen a two-month delay for when he must report to prison. 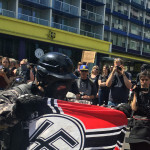 The number of active hate groups in the United States soared to a “record high” of 1,020 in 2018, according to the Southern Poverty Law Center’s latest “Year in Hate” report. Paul Manafort is making one last push to convince a federal judge that he “did not lie” to the special counsel Robert Mueller’s office during his cooperation sessions — at least not on purpose.